Home » News » Local News » Boy back Home! By BStigers on September 26, 2018. Six year old Jayce Cosso, taken from his mother by his father and 5 others, including the man’s teen age boy, over the weekend, was reunited with his mother yesterday. An Amber Alert was issued for the missing boy. 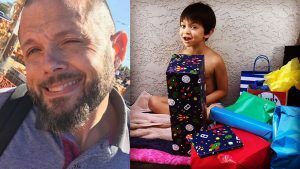 Officers with the Modesto Police Department received many leads from the community, but it was a tip that came from social media that helped detectives locate the boy. Police are looking for a woman that was involved, in the meantime the father and his 19 year old son are facing several charges.